Kitbash Games: Scorpio Troopers Rising! 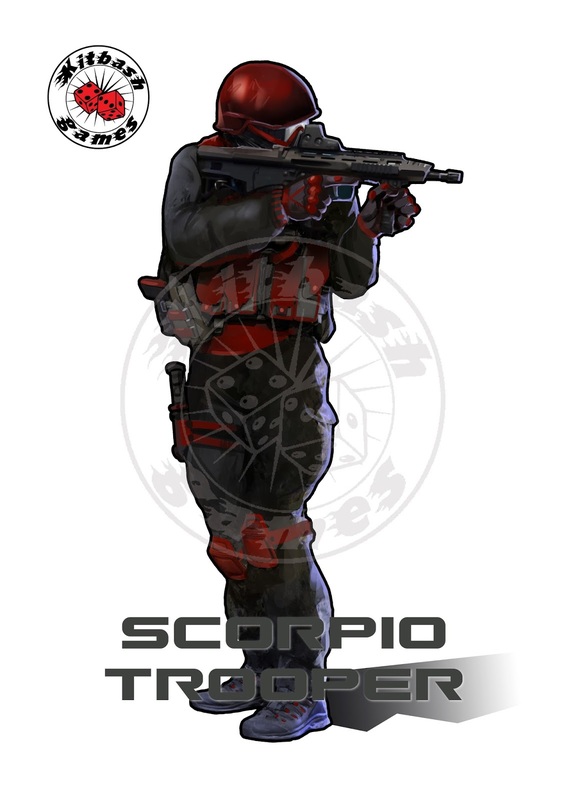 This art for a Scorpio Trooper is the second piece commissioned for Squad Wars. 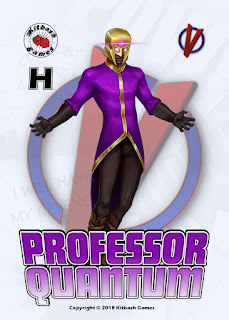 There is a loose background provided in Squad Wars should players want or need it, howveer the game is very much designed for players wanting to create or recreate their own preferred settings. In the fluff that is included, Scorpio is a trans-national terrorist and criminal organisation, divided into many splinter cells. Recently there has been a schism between the ideologically fanatical groups and the more criminally focused elements. Scorpio Troopers are the backbone of Scorpio forces, their red and black armour and fatigues making them a distinctive sight and intimidating presence in fire-zones. Very cool liking this one a lot dude.